If germs are hitting your home with a vengeance this time of year, you might be feeling the impact on your bank account. Taking care of yourself or a loved one when you're under the weather can be pricey. From stocking up on cold medicine to potentially missing out on work (and the related paycheck), the expenses add up quickly. Here are some ways to help keep those costs down while still taking care of yourself. 1. Do what you can to prevent getting ill in the first place. First, consider getting a flu shot. Depending on your health coverage, it can be free or low cost. Look for opportunities to get one in your community or at a local pharmacy. Often no appointment is necessary. Even if you must pay a small fee for the shot, this investment in your health could protect you from wasting more time later in the winter season. After all, you could fork over the same amount to visit a doctor or more if you need to go to the hospital, and spending a little now can prevent your need to purchase medicine or take time off work. Using the same reasoning, you might want to consider investing in vitamins and healthy food, too. Simple steps, like washing your hands frequently, can also help reduce the chances of exposure o germs turning into a bigger deal. 2. Prepare through well-time purchases. If you do come down with an illness, don't count on cold medicine being on sale when you need it. Instead, stock up when it's on sale. Take a moment before you go to the store and look at the weekly ads to see what's on sale. Then look for a coupon. You might even be able to use a coupon on an item that's already on sale for additional savings. Another way to save on medicine is to purchase the generic version. Each store usually has their own brand that uses many or all of the same ingredients and comes with a lower price tag. 3. But don't necessarily buy the cheapest item. A word of caution before you buy the cheapest medicine you can find: When selecting medicine to buy at the drugstore, you might notice that the same drug is packaged in multiple size boxes and prices range from $5 to $20. Calculating the cost per dose will likely reveal that the larger package is a better value. Colds can last up to a few weeks; if you buy the smaller package, you may be back at the store to purchase a second box or bottle of medicine before your cold symptoms have gone away. Now that you've selected a bottle or cough syrup or a box of decongestant, don't forget to rack up the rewards when you pay the cashier. Many drugstores – including Walgreens and CVS – have free memberships where you can accumulate rewards that are later redeemed for dollars off your future bill. If you're the kind of person that doesn't like carrying around keycards, then you have the option of downloading an app, like Key Ring, that tracks your loyalty programs for you. That way, you just need your phone handy when you're checking out at the register. 5. Look for other discounts, too. Sometimes you'll also find manufacturer coupons can also reduce your final price. In addition to over-the-counter cold medicine, you might be soothing your illness with items such as hot water bottles, heating pads and herbal tea. Before stocking up on those items, you can check your paper's circular on Sunday for any available discounts. 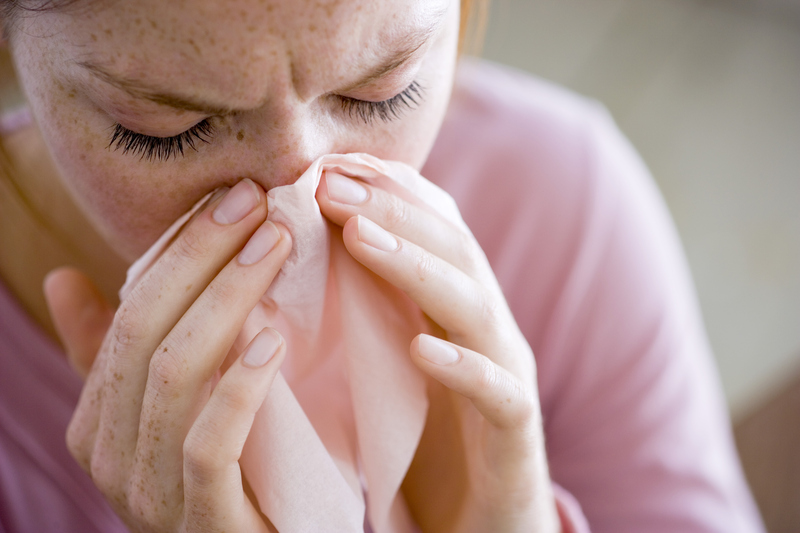 If you see them even when you're not sick, you might want to consider stocking up, just as with cold medicine. That way, you'll be prepared and guarantee yourself the best deal – plus you won't have to venture out when you're feeling lousy. Having a few cans of chicken soup in your cupboard doesn't hurt, either. I hope these five strategies help reduce the pain you feel in your wallet when you next come down with a cold. With any luck, you'll be able keep any illnesses to a minimum this season, for both yourself and your loved ones.